Today on the BCP Show we talk with Ellen Rohr. Ellen’s back for Financial Basics: Part 2 and this week she’s talking about cashflow, debt, tax season, how and why you should involve your front line people in the financial side of things, and more. If you haven’t listened to last week’s episode, be sure to check it out. ~If you haven’t yet read the Financial Health chapter of Blue Collar Proud: Ten Principles For Building A Kickass Business You Love, do it! 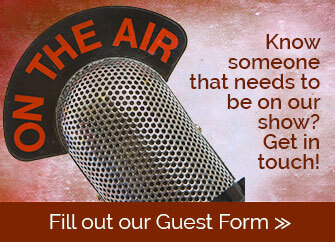 ~We’d love to hear your thoughts on the BCP Show. If you have a second, please leave us a review in iTunes or the Google Play store. ~Thanks for the kind words Elizabeth Guy – we’re glad you enjoyed the book! ~Don’t forget to check out Closing Commander – you can even try it FREE for 14 days!